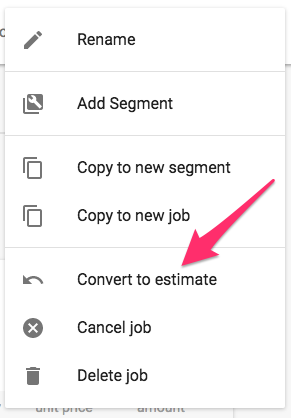 How do I convert a job back to an estimate? A job was created when an estimate should have been, do I need to start over? Once a job is created, you can convert it to an estimate without starting over and losing your hard work! Just go to the job details page. Once there, click the wrench icon toward the top right of the screen. This will replace the invoice with an estimate that will contain all of the same line items, customer information, notes and attachments. If you do not see the 'convert to estimate' button, an estimate already exists for this invoice. You can find the link to that estimate directly to the left of the wrench icon. Click on the clipboard icon to view the estimate. Want to successfully complete more jobs? Check out the keys to employee and customer satisfaction.